The aeioTU Longitudinal Study is a randomized trial longitudinal study into the immediate and short-term cognitive, linguistic, nutritional and social effects of a comprehensive educational and nutritional 0-5 intervention in Colombia, in the form of aeioTU centers. The research is headed by Milagros Nores from the National Institute of Early Education Research (NIEER) in collaboration with Raquel Bernal from Universidad de los Andes-CEDE in Colombia. The study is an independent evaluation that follows 1,218 children’s developmental trajectory between 2010 and 2015. This randomized longitudinal study of high quality early education in the Colombian context is the first of its kind, including all cohorts of children before school age and focusing on high quality center-based education in two disadvantaged neighborhoods in the northern coastal region of Colombia. Households were randomly assigned from a waiting list and children assigned to aeioTU or the control group. Siblings receive the same assignment because households are the unit of randomization given our ecological framework. Children were enrolled in the two aeioTU centers in the study through lottery supervised by NIEER based on an oversubscription model. The centers were built from scratch and opened to the community in 2010 and early 2011, with spaces for about 300 children. This working paper investigates the effects of aeioTU on the development of disadvantaged infants and toddlers in Colombia using a randomized control trial in two communities in northern Colombia. To the authors’ knowledge, this is the only study in a developing country that would allow the comparison of outcomes of infants and toddlers randomly assigned to receive high-quality center-based care to a randomly assigned control group. aeioTU provides high quality early childhood services to children under the age of 5. In addition, it supports other early childhood providers and professionals interested in providing comprehensive services through various quality improvement supports. aeioTU is a social enterprise that works in through public-private partnerships and currently provides services to in 13 cities serving 3,300 niños daily, and working with teachers across the country having an impact on over 50,000 children. Strong curriculum developed inspired on Reggio Emilia. Read more on aeioTU on their website. What are the immediate and short-term effects of enrollment and participation in aeioTU on children’s early learning and development? To what extent do these effects vary by intensity (cohorts)? Do pre-school effects persist over time, and in particular as children transition to primary? How do child and family characteristics moderate the effects on children? The study builds on i) findings from experimental studies in the U.S.; ii) recent evaluations in Latin America, the Caribbean, Africa, and Asia; iii) on-going early childhood studies in Colombia; and iv) socio-biological models of child development. The design allows for the estimation of the effects of dosage (years and quality of intervention). The aeioTU Longitudinal Study is the first of its kind in Latin America and unique for its longitudinal design which allows for measuring short and long term effects. The methodology embeds a cross cohort study to ensure that treatment and control groups are truly comparable at each age in measured family characteristics. Given that a smaller number of children is served at younger ages, we use stratified random sampling to construct samples in which there are no significant cohort (i.e. age-related) differences in observed family characteristics. Families were assigned to treatment, stratifying by age/gender groups and according to center capacity (n=320). Random assignment strongly reduces the plausibility of most threats to internal validity (Shadish, Cook and Campbell, 2002), that is, any initial group differences in maturational rates, experiencing simultaneous historical events, etc. We administer the same assessments to all children regardless of treatment, under the same conditions (in spaces especially adapted for testing inside the communities). Baseline (or pretest) was carried out before randomization. Baseline data shows equivalence among treatment and controls in cognitive, social-emotional and nutritional dimensions, as well as in parental income, education, employment, welfare, family composition, immunization, assets and living conditions. For a full document summarizing our design, please click here. 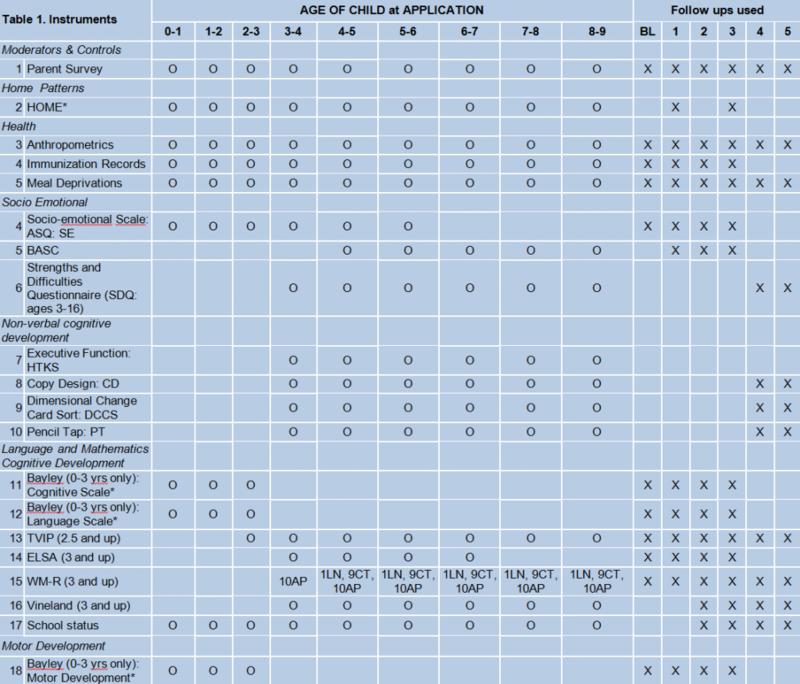 Various instruments are used to assess different dimensions of child development. Linear models, hierarchical linear modeling, and classroom random effect models are used to estimate impact and the role of moderators. We use instruments that evaluate children’s emotional, social and cognitive development over time. We also measure family characteristics, program costs (direct and indirect) and program quality. i. Family Background and Home Environment questionnaires: Parents questionnaires collect information on parental ethnicity, parental income, savings, education, employment, welfare, family composition, immunization living conditions, parenting practices and information on the early childhood experiences. ii. Infant Development: The Bayley Scales of Infant Development (BSID) are the most commonly used assessment of infant development (Fernald, Kariger, Engle & Raikes, 2009; Bayley, 2005). The Bayley has shown to predict later non-verbal and verbal cognition, i.e. as measured by the Test de Vocabulario en Imágenes Peabody (TVIP) (Blaga, Shaddy, Anderson, Kannass, Little & Colombo, 2009). As children grow, we measure child development using the Vineland Adaptive Behavior Scales (Sparrow, Balla, & Cicchetti, 1985). The Vineland is an individual parent questionnaire that assesses personal and social skills in communication, daily living skills, socialization, and motor skills. iii. Language: The Test de Vocabulario en Imágenes Peabody (TVIP) (Dunn, Padilla, Lugo and Dunn, 1986) uses 125 items to assess receptive vocabulary of Spanish-speaking students. The TVIP has been used extensively in preschool studies (Early, Maxwell, Burchinal, Alva, Bender, Bryant, et al., 2007). iv. Math and Literacy: The Woodcock-Muñoz III Tests of Achievement (WM-III) The WM-III is a comprehensive set of individually administered tests of children’s early literacy and mathematical skills and knowledge, and we use subtests #1, #9 and #10, letter-word identification, text comprehension and applied problems, respectively (Muñoz-Sandoval, Woodcock, McGrew & Mather, 2005). In addition, in the first waves the Early Literacy Skills Assessment (ELSA) (DeBruin-Parecki, 2005) measures four key elements of early literacy development– comprehension, phonological awareness, alphabetic principle, and concepts about print. v. Socio-emotional Development: The Ages and Stages Questionnaires for the Socio-Emotional domain (ASQ: SE) (Squires, Bricker and Twombly, 2009) is a parent-completed assessment for children ages 6-60 months on socio-emotional development. The ASQ has been used for early development assessments in low and middle income countries (Handal, Lozoff, Breilh and Harlow, 2007; Tsai, McClelland, Pratt & Squires, 2006). As children grow older, we switch to the Behavior Assessment System for Children (BASC-II), which measures adaptive and problem behaviors (Bracken, Keith, & Walker, 1998; Doyle, Ostrander, Skare, Crosby & August, 1997) and the Strengths and Difficulties Questionnaire (Goodman, 1997). vi. Executive Function: Head-Toes-Knees and Shoulders: The HTKS examines behavioral regulation (Ponitz, McClelland, Matthews & Morrison, 2009; Ponitz, McClelland, Jewkes, Conner, Farris & Morrison, 2008) in children’s early years. HTKS requires children to remember and respond to behavioral commands. It has predictive validity with achievement and teacher-ratings of self-regulation. In addition, after the third wave we incorporate the following set of instruments, in order to have a stronger and more comprehensive battery for this dimension: Peg Tapping Task (Diamond and Taylor, 1996); Dimensional Change Card Sort (Zelazo, 2006) and Copy Design (Osborne, Butler and Morris, 1984). vii. Children’s health status: In line with similar international studies (Fernand, Gertler & Neufeld, 2008; Overholt, Sellers, Mora, Paredes & Herrera, 1982; Walker, Wachs, Meeks Gardner, et al., 2004) we collect information on height and weight, BMI and arm circumference once a year following World Health Organization (WHO) standards. Instruments were chosen based on recommendations for child development research in low-income countries and used in previous evaluations in these contexts (Fernald, Kariger, Engle and Raikes, 2009). 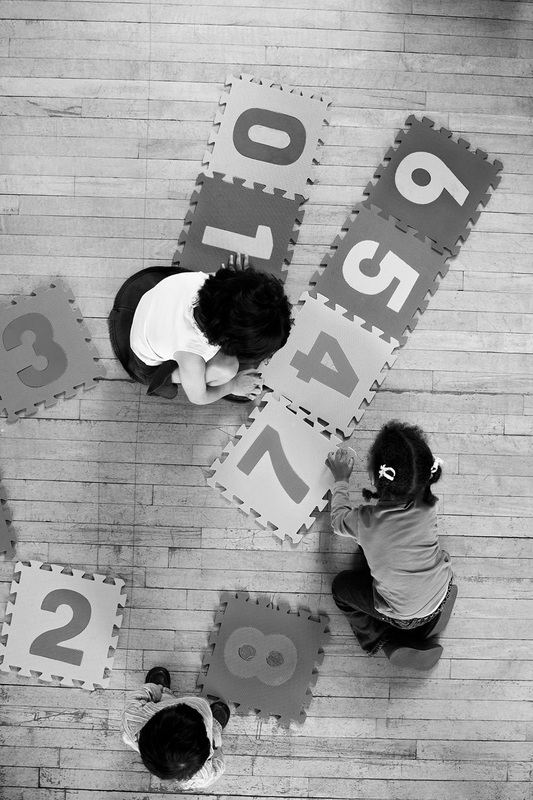 Most instruments have been used extensively in evaluations of early care or education. We have chosen instruments for the younger ages are that are highly predictive of the instruments chosen for later ages. We use a combination of instruments that are good measures for each age group with measures of less depth but longer time spans. Most measures have demonstrated adequate psychometrics in similar longitudinal studies with Latin American or other Hispanic populations and have effectively assessed program effects in other Latin American evaluations. Table 1 summarizes the instruments used by area and age. Table 2 below presents protocols, surveys and manuals used in the evaluation process that were prepared by the research team. Please note these are in Spanish. These can be used at no charge with acknowledgement of the source. (*) If the HOME translation is used, we request that researchers buy the originals in English in accordance with copyright laws. NIEER (2011) The aeioTU Early Childhood Longitudinal Study. Progress Report Year 1. Summary of Baseline Data Collection. New Brunswick, NJ: National Institute for Early Education Research. NIEER (2012) The aeioTU Early Childhood Longitudinal Study. Report I. Baseline Data Collection. New Brunswick, NJ: National Institute for Early Education Research. Milagros Nores, Principal Investigator, is currently Associate Director of Research at the National Institute for Early Education Research (NIEER), at Rutgers University. Dr. Nores has been working in early childhood for 10 years now. Since 2009, when she joined NIEER, Dr. Nores has successfully received, together with her peer researchers, grants for about 6M USD to fund this and other evaluation initiatives. This project is close to her heart having been raised in Colombia and being of Latin American origin herself. She has worked closely with Steve W. Barnett, NIEER Director, in this evaluation, as well as with Raquel Bernal, CEDE Director at the Universidad de los Andes in Colombia, with whom Dr. Nores partnered to ensure the quality and cultural suitability of the project. Dr. Nores has extensive research experience in ECD and in Latin American education. Raquel Bernal , Co-Principal Investigator. Bernal is a Professor of labor economics and econometrics, and Director of the Center for Research on Economic Development in the Economics Department at Universidad de los Andes in Bogotá, Colombia. Bernal holds a PhD in Economics from New York University and MA and BA degrees from Universidad de Los Andes. 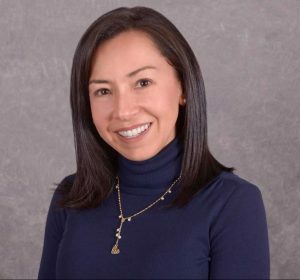 She worked as an assistant professor at Northwestern University (Evanston, IL) between 2003 and 2007 prior to moving to Colombia. 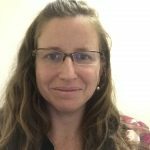 Her research focuses on the determinants of an individual’s performance in the labor market and in particular, the determinants of ability at early stages of life. Current research projects include estimation of structural models of women’s employment, child care choices and the effects of these decisions on children’s cognitive ability as well as estimation of the effects of child care quality and parents’ specific time allocations on children’s development. She has also worked in the evaluation of a wide variety of early childhood development programs in Colombia. In particular, the evaluation of hogares comunitarios (family based nurseries) currently serving more than 800 hundred children nation-wide, evaluations of center-based programs and the evaluation of a professional technical program for care providers in hogares comunitarios. She has assessed over 30,000 children in the country and successfully worked jointly with the government in improving and innovating in ECD policy design. The evaluation has been funded by the Jacobs Foundation (52%), the UBS Optimum Foundation (37%) and the Inter-American Development Bank (10%). We are very grateful for the support of all these organizations.